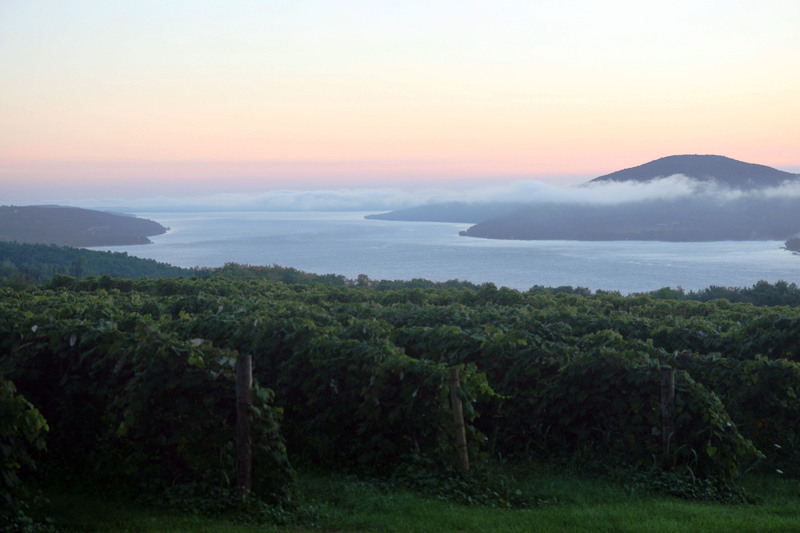 Silver Thread Vineyard is a rocky, hillside vineyard, on the eastern shore of Seneca Lake, at the heart of New York’s Finger Lakes region. At this location, the bottom of the lake drops almost 200 feet below sea level, a dramatic mass of water that creates a distinct microclimate on the eastern hillside — cooling breezes in summer, radiating warmth through the winter, and extending the length of the growing season. Established in 1982, Silver Thread was one of the first Finger Lakes wineries to produce exclusively dry wines from European grape varieties. For its first 20 years (1991-2011), Silver Thread was known as a pioneer in organic farming practices in the Finger Lakes. 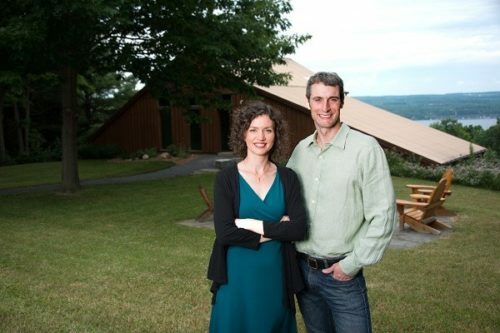 Heralded winemaker Paul Brock and wine educator Shannon Brock assumed ownership of Silver Thread Vineyard in 2011. At that point, the Brocks began transitioning the winery to a different form of agriculture called Bio-intensive. This holistic, no-till farming approach uses the best of both biology and chemistry to grow premium wine grapes each year. Bio-intensive viticulture includes elements of both organic and biodynamic viticulture. Silver Thread remains a boutique winery focused on sustainability and premium estate wines. The vineyard was expanded to 8 acres in 2014 and 2015 and the Brocks produce 2,000-3,000 cases of wine depending on the vintage. The winery is named for a local waterfall, Silver Thread Falls, which was an important spiritual site for the local Seneca Indians. The turtle image on our label was carved in a rock beside one of New York’s woodland creeks by a Native American artist many centuries ago. As an earth symbol to the Haudenosaunee people, the turtle reminds us to care for the land and water that give us the gift of wine. This artifact is on display at the New York Botanical Garden in Bronx, NY. The Brocks represent the new generation of young winemakers propelling the Finger Lakes to prominence. Winemaker Paul Brock has a Master’s Degree in Enology and Viticulture from Cornell University and Estate Manager Shannon Brock is a Wine & Spirit Education Trust (WSET) Diploma Holder. Both have prior winemaking experience in the Finger Lakes and New Zealand, and both are wine educators–Paul is a professor of winemaking at Finger Lakes Community College and Shannon teaches WSET courses in the Finger Lakes. Silver Thread’s winemaking philosophy is vineyard-focused. They believe control over the style of the wine is best achieved by practices during the growing season, picking date, and sorting of grapes during harvest. Levels of sugar, acid and tannin are always natural and unadulterated. After a healthy fermentation, wines are minimally filtered for stability and bottled in order to best express their vineyard origins.